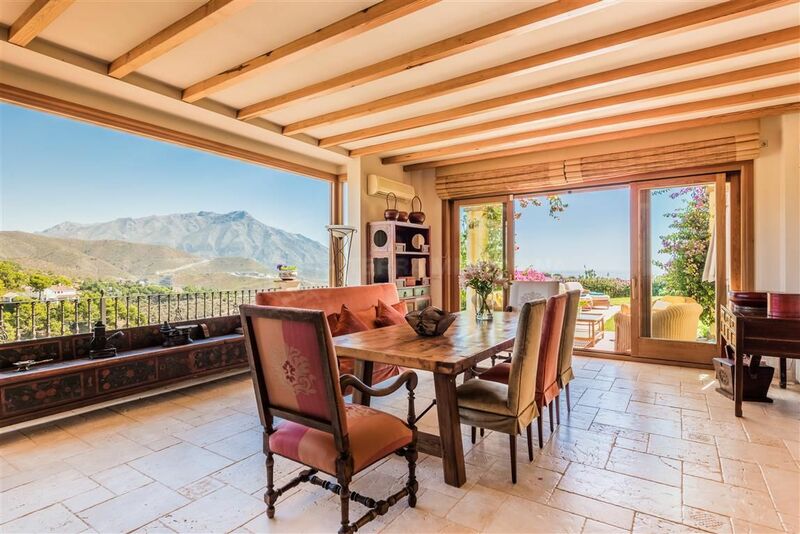 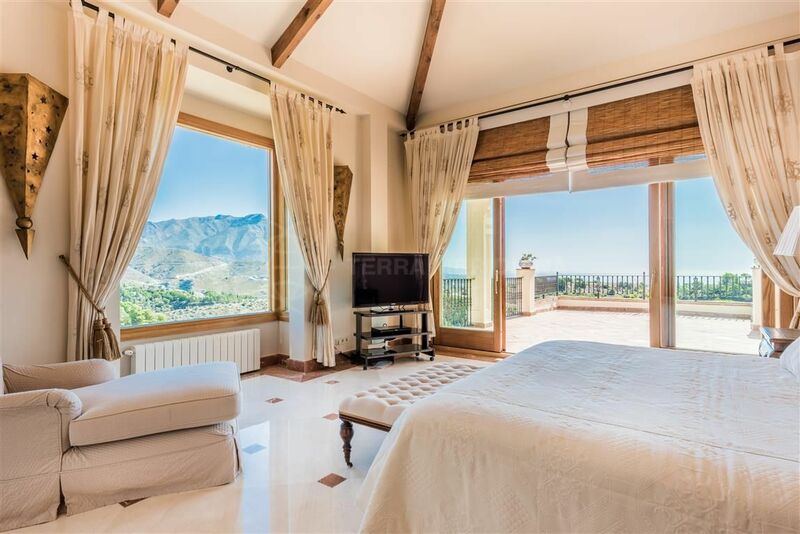 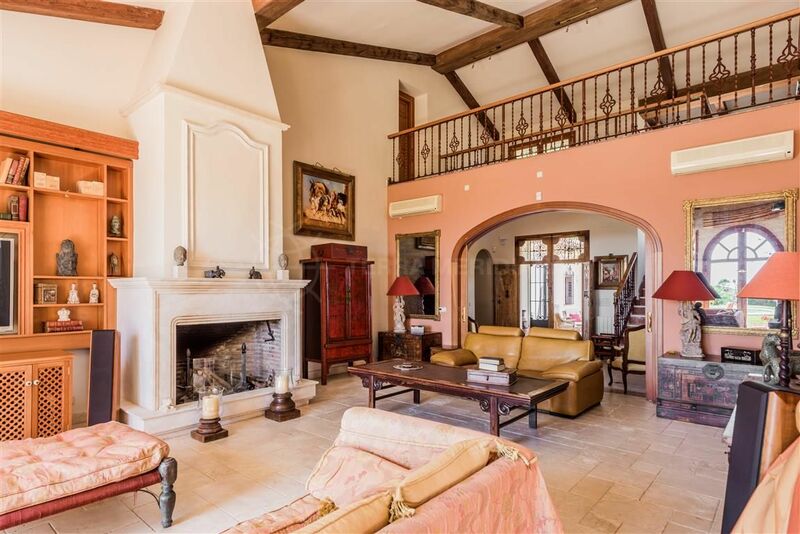 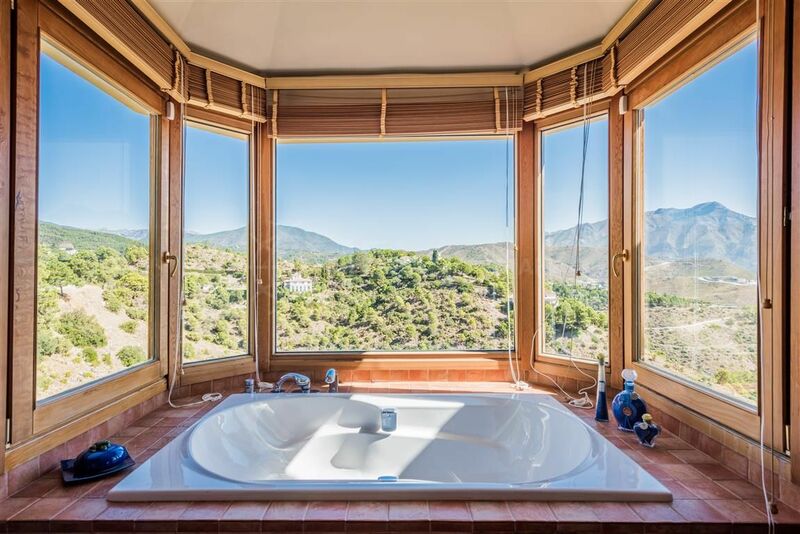 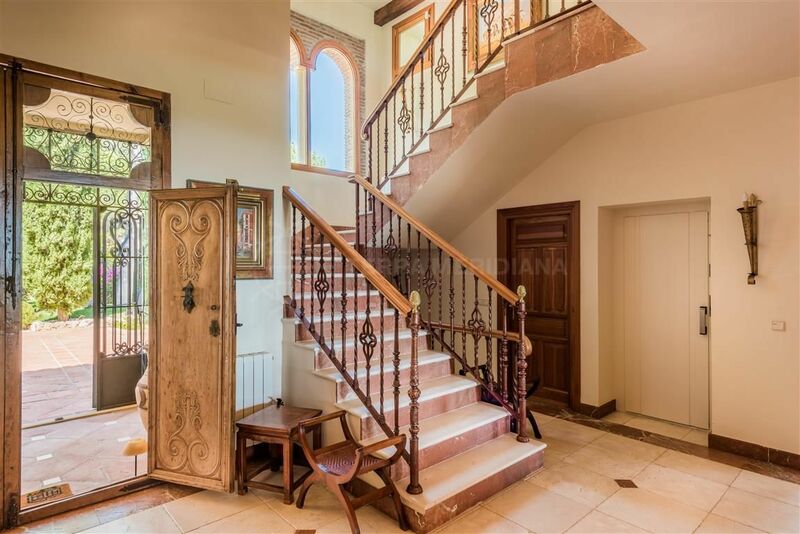 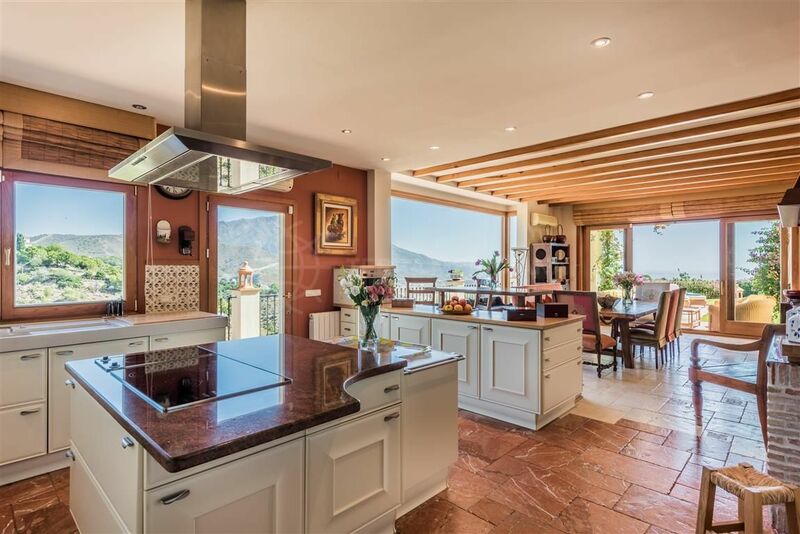 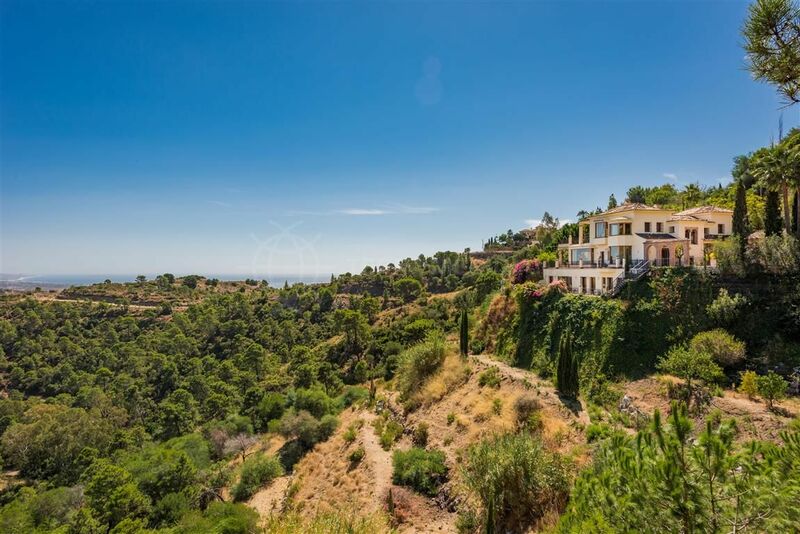 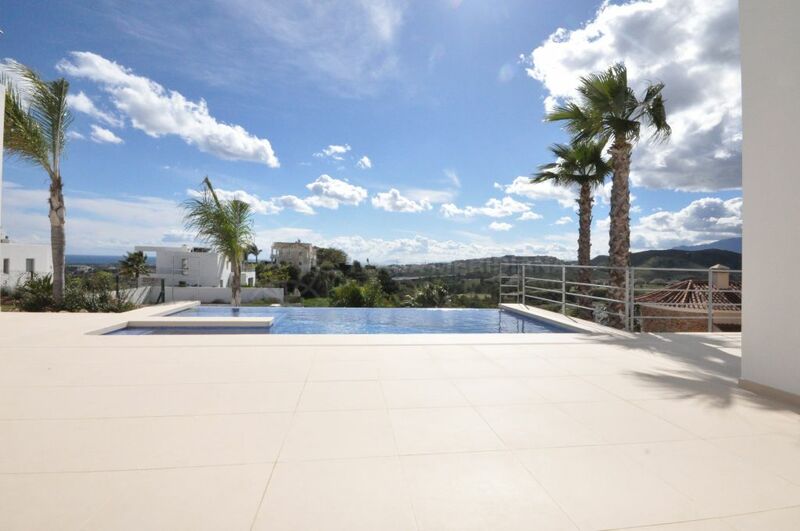 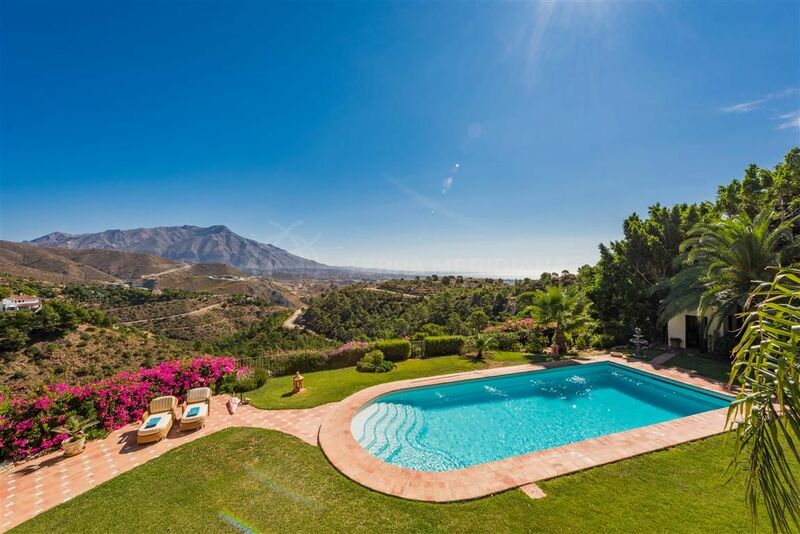 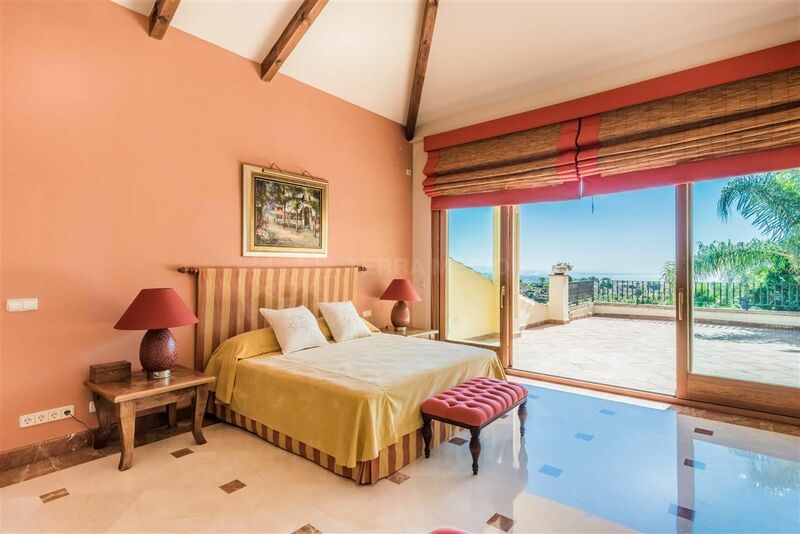 Sited on an extensive 10,000 m2 plot in the beautiful park-like setting of El Madroñal with its pine and cork trees, this commanding villa takes full advantage of the surrounding mountain and coastal views. 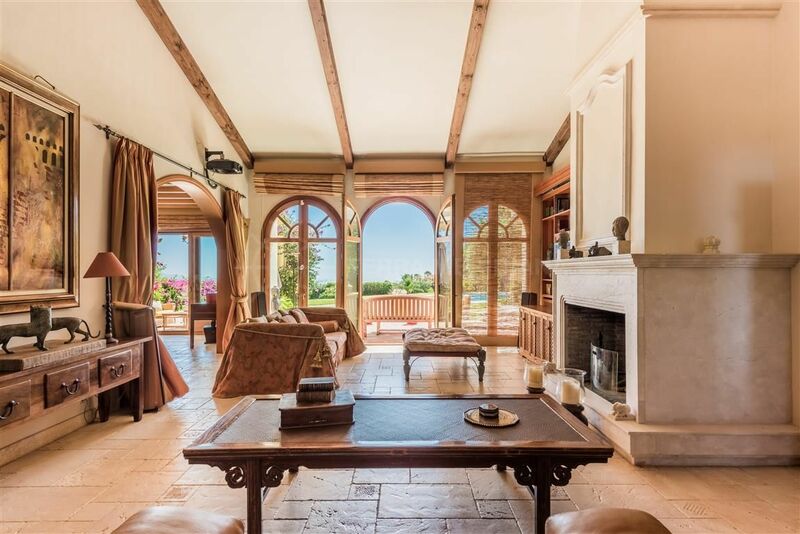 Encompassing 742 m2 of living area the property features 4 master suites with dressing rooms and extensive terraces which enjoy the panorama of captivating sea views. 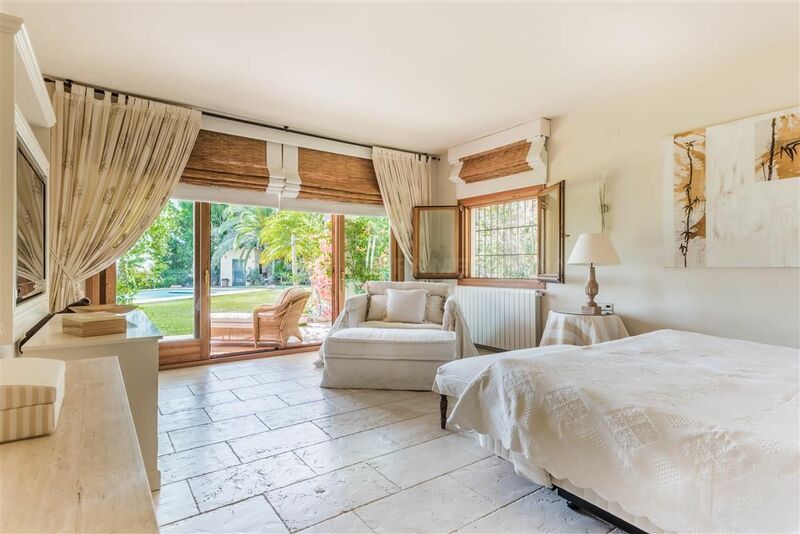 The main floor offers a gorgeous living room with fireplace, a modern kitchen connecting to the dining area, a spacious separate apartment with a private entrance through the garden which includes a living room, kitchen and bedroom suite. 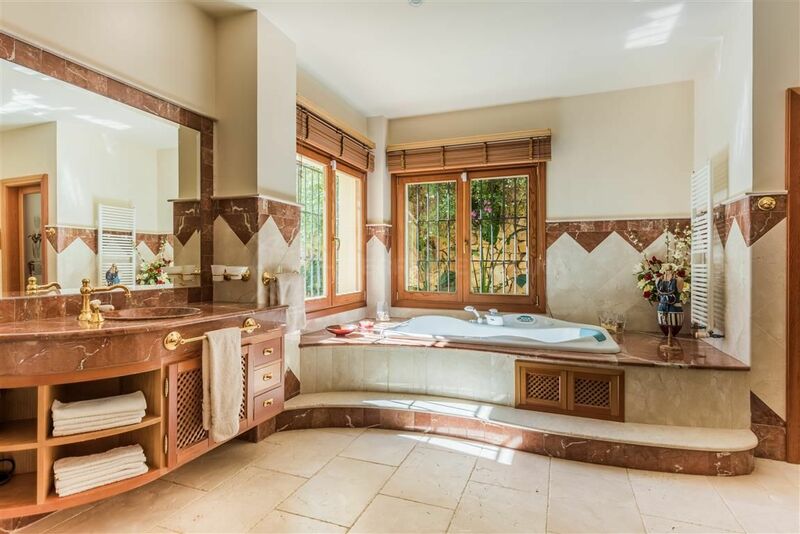 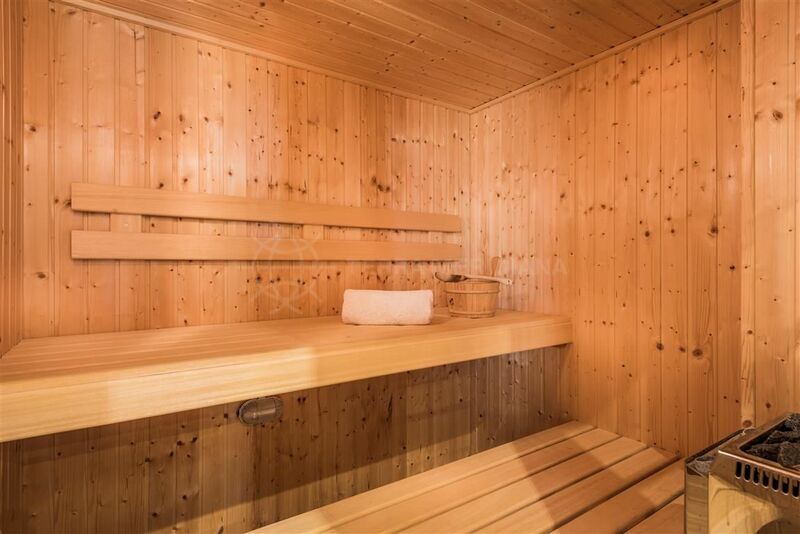 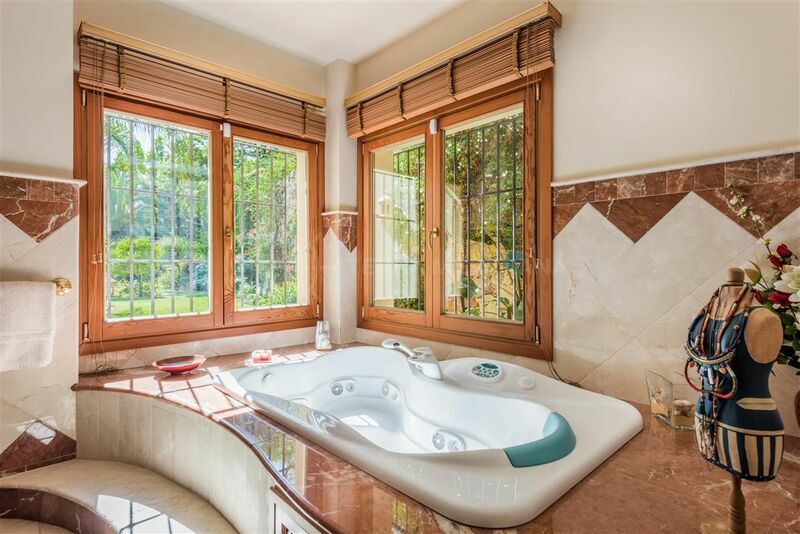 Worth mentioning is the heated swimming pool in the sub-tropical garden, sauna, central heating, high vaulted ceilings, lift and exterior parking for 4 cars. 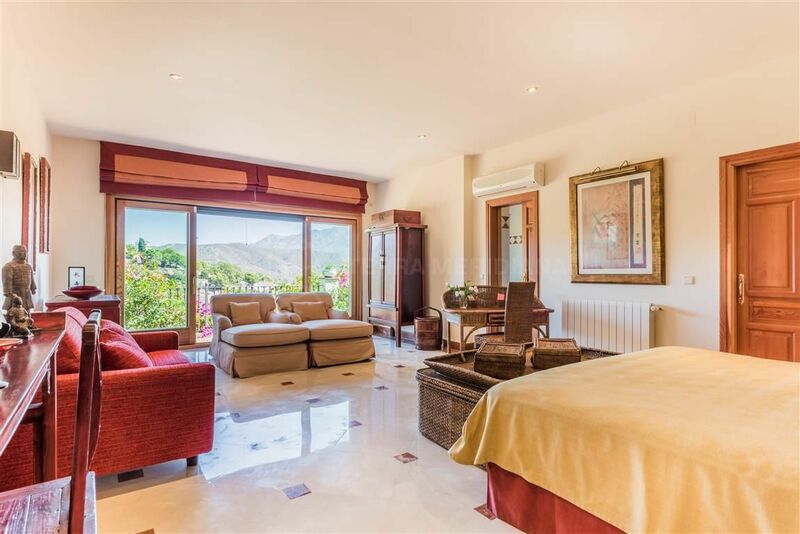 El Madroñal is a luxury gated community with 24 hr security, adjacent to the ultra-exclusive La Zagaleta as well as numerous golf courses. 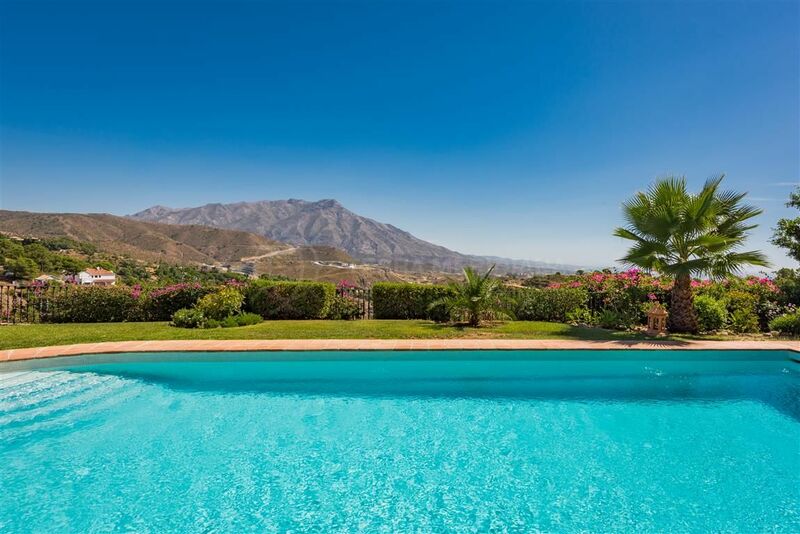 The closest beach is approximately 8 minutes by car in San Pedro de Alcantara, and 15 minutes away from Puerto Banus with its fine dining, upscale boutiques, cinema and El Corte Inglés department store. 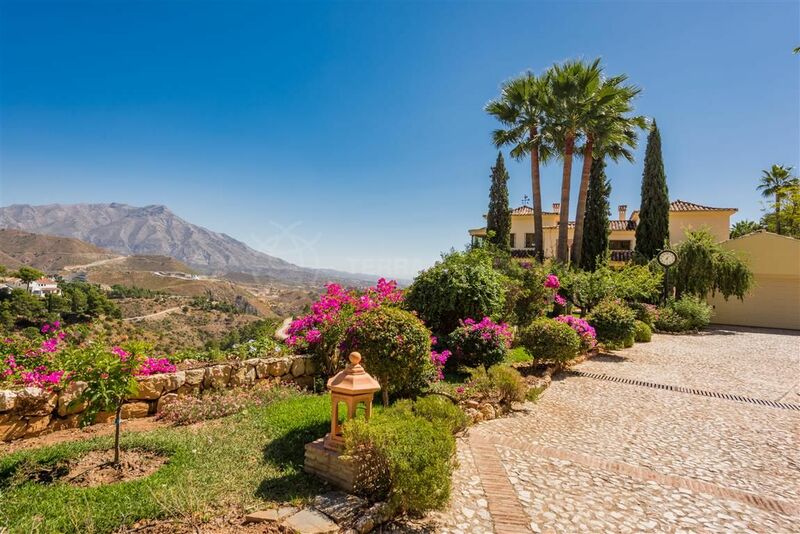 The charming old town of Marbella is a 20 minutes drive and boasts quaint cobbled streets and Michelin star restaurants. 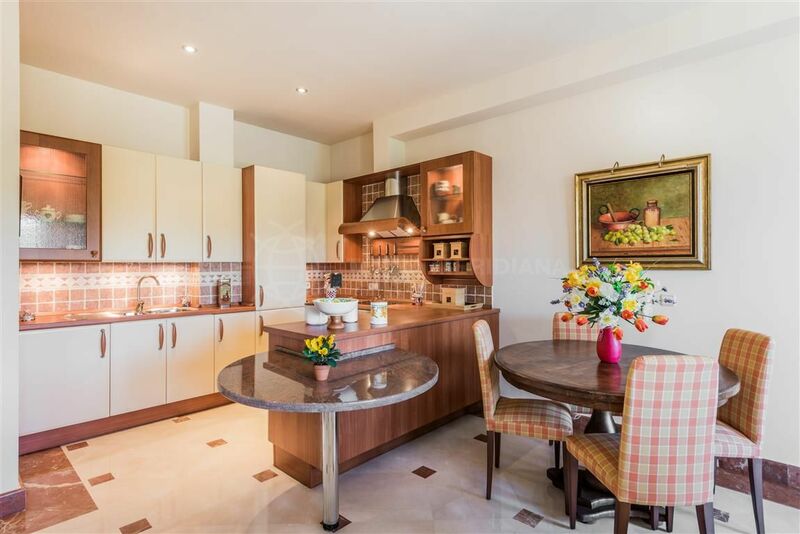 "Timeless and tasteful home in a prestigious location." 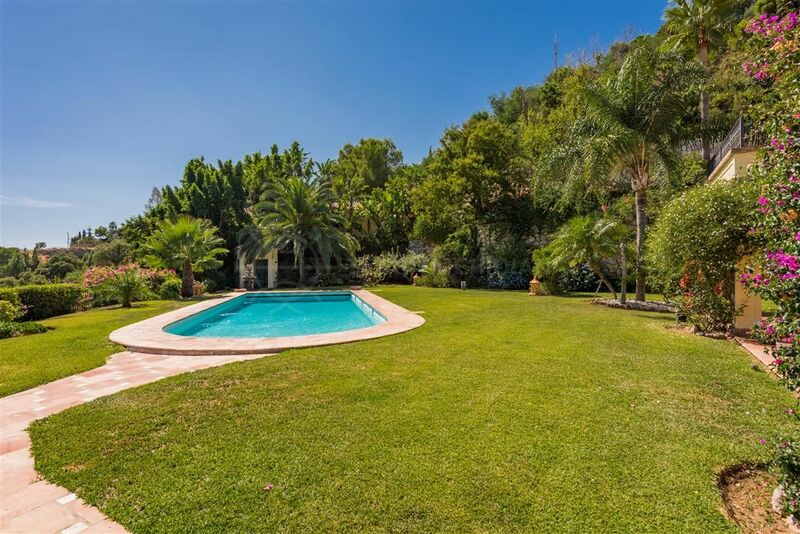 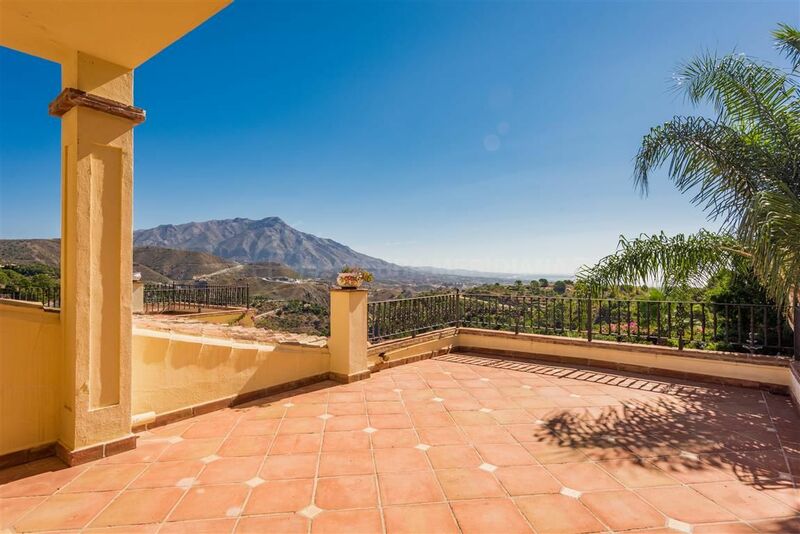 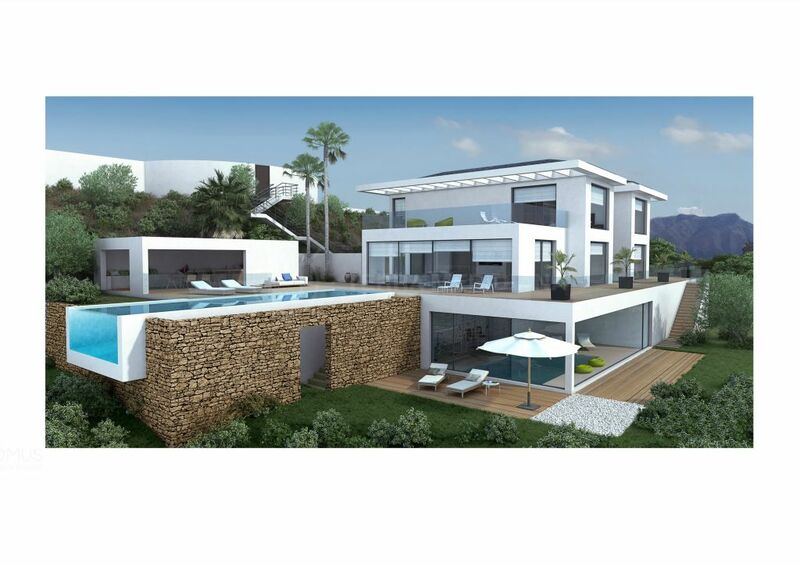 Please, send me more information about ref TMXV1722, Villa in El Madroñal, Benahavis or similar properties.